Bali is a small island as a tourist destination the world, this year will be the host for the Miss World 2013, which was followed by 130 countries in the world. 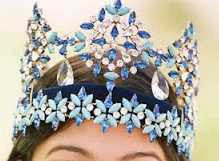 Organizing Miss World in Bali this year, has received very good response from various countries, so the number of participants of the Miss World 2013 increased compared to last year. One of the countries that do not usually participate are Burnei Darussalam, but this year they will participate. Bali was chosen as his place was held the Miss World 2013 in Indonesia, as Bali is a safe place with people who are very friendly and open. In Bali has never happened violence could harm many people. Culture and religion in favor of all things well-intentioned, makes Bali very suitable in use as a place to hold various international event. The grand final event planned to take place in Nusa Dua, Badung, Bali, on September 4 to 15 2013. Chairman of the organizing committee of Miss World 2013, the Jeby Philippi, report preparation for the pageant was the Regent of Badung, Anak Agung Gede Agung, Jeby explain all the participants of Miss World will be staying at the Westin Nusa Dua Resort, while the series of contests will be held at the Garuda Wisnu Kencana ( GWK), and the region Pecatu, Nusa Dua. Balinese people strongly support this international event. Miss World this could be a tourism promotion event Badung, Bali, and Indonesia. There are many benefits from the implementation of the Miss World in Indonesia. Not only in terms of tourism, but also the perpetrators of fashion in Indonesia. Because hundreds of local designers graced the event through the World Fashion Design competition. So the name of the Indonesian designers are also increasingly recognized, as they will participate in the event. The impact is most felt when the exercise of that contest is the increasing number of tourists. Implementation of Miss World 2013, which was held in Bali, providing positive benefits for Bali. Because many tourists are certain to come to Bali at the event lasts. It's certainly not going to be wasted by the perpetrators of tourism in Bali. Besides a lot of support at the Miss World to be held in Indonesia, there is also resistance from some parties. Islamic Movement for Unity (GUIB), East Java, has agreed to refuse the implementation of the Miss World 2013 in Indonesia. This refusal was conveyed in a meeting in East Java with representatives of Islamic organizations that exist in East Java. According to them, a beauty pageant held in Indonesia is not feasible, because it does not bring a lot of benefits. Rejection was also presented to the president not to approve the execution of Miss World in Indonesia.